Beginning on October 1, 2018, those looking to become registered as a securities industry professional will have to pass the Securities Industry Essentials (SIE) exam and a FINRA representative-level qualification “top-off” exam. What information does the SIE cover? The SIE exam’s content outline is available on the FINRA website. How is the SIE exam structured? The exam will contain a total of 85 questions, of which 75 questions are scored. All questions will be in a multiple-choice format with four answer choices. Each question must be answered before a candidate can advance to the next question. Candidates will have 1 hour and 45 minutes to take the exam and will immediately receive their results as pass or fail. Any candidate who does not successfully pass the exam must wait 30 days from the first or second attempt (and 180 days after a third attempt) before retesting. The SIE results are valid for four years. What are the prerequisites to take the SIE exam? There are no prerequisites to take the SIE exam. This opens the door for individuals to take the SIE exam prior to applying for a job with a member firm. What are the exam requirements for a candidate applying for registration starting October 1, 2018? 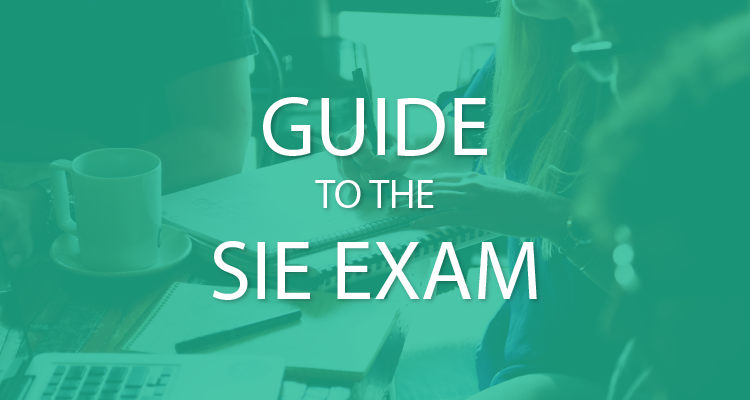 A candidate must pass both the SIE exam and the appropriate representative-level top-off exam, such as the Series 6 or Series 7, to be registered with a member firm. A candidate must be sponsored by a FINRA member firm to take the top-off exam, but not the SIE exam. There is no required order to take these exams and they can even be taken on the same day. An individual does not become a registered representative until both exams are passed and all other requirements relating to registration have been satisfied. What is the transition period for an exam window opened prior to September 30, 2018? Candidates who apply for registration prior to September 30, 2018 will fall under the current requirements and be required to pass only the representative-level exam and not the SIE. In other words, the current representative-level qualification exam may be taken after October 1, 2018 ONLY IF the exam was scheduled prior to September 30, 2018. If these candidates do not pass the current representative-level exam, they will be required to pass the SIE and revised top-off exam. The required waiting period for failed exams will not apply in this situation. Who offers individual or group training courses to prepare candidates for the SIE exam? A.D. Banker & Company will provide a full line of SIE study materials including an online course, study manual, practice exams, and web classes. Remember to check back with A.D. Banker & Company for updates regarding the SIE and the revised registration-level qualification exams on a regular basis. To speak with someone from A.D. Banker regarding all Securities licensing study programs, please contact us at 1-800-866-2468.